Akash, an Investment banker and Javed Ali, a New York City taxi cab driver get into immigration problems and have one month to decide where they belong. They both deal with the dilemma of belonging, man’s struggle for better life and choice between love Vs money, a choice between one’s motherland and foreign country. Special Thanks: Victor Gourkanti, Hemangi Shah, Avni Purohit, Vijay Adireddy, Vijay Reddy, April Gatling, Debbie Harris, Domenick Bauer, Campbell Dalglish, Antonio Tibaldi, Melissa Hacker. 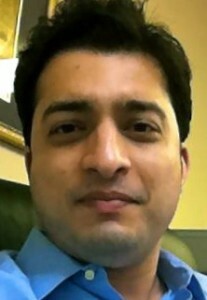 Rohit Sonak, born and raised in India, currently resides in the Greater New York City area. He started working in India under Saurabh Shukla in theater group, “Spandhan Parivar”. After working as a clapboard boy on the sets of film, “DEVKI”, he became the assistant director to filmmaker Milind Ukey. He has also worked as an assistant to Pathik Vats (dialogue writer of film, “Sarfarosh”) and Rajkumar Hirani in film, “MUNNABHAI MBBS”. Since he had no formal training in Film, he decided to go back to school to pursue his passion for filmmaking. He completed a Film Production course at NYU-SCPS, and B.A. in Media Studies at New Jersey City University, 2011. He is currently completing his M.F.A in writing, directing at City College, New York. I cannot think of doing anything in life than making movies…. This entry was posted in 2014 on May 5, 2014 by Rohit Sonak. Cityvisions is the annual capstone event at which the MFA students from the program in Media Arts Production at The City College of New York screen and premiere their thesis films. This event is a major festival held in the spring at a Manhattan theater, including an awards ceremony.